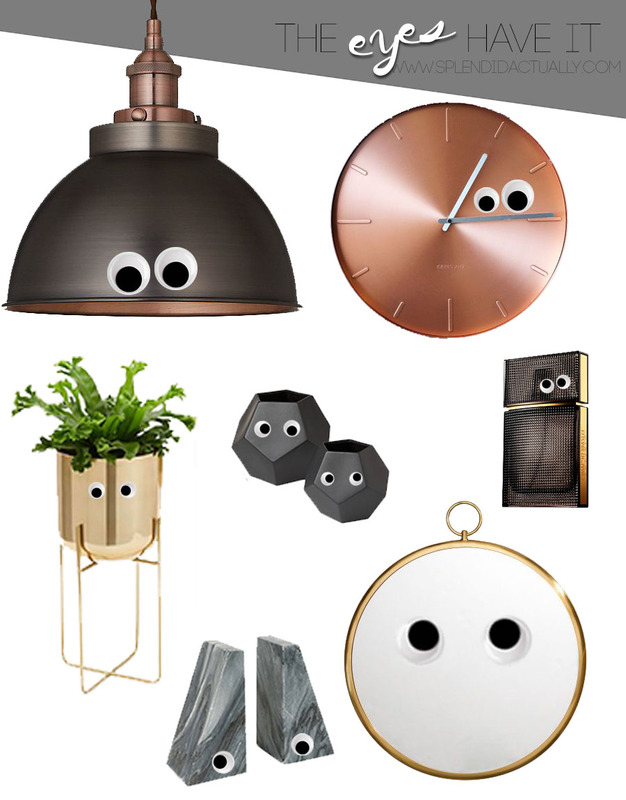 Adding googly eyes to your already awesome home decor is probably one of my favorite ways to subtly decorate for Halloween. One of my favorites that I've done multiple times is my tube of toothpaste. For some reason adding eyes just above the dispensing part is hilarious to me. I have also been known to add eyes to inanimate objects at friends houses - just to make them giggle whenever they find it. Also, I'm loving black, white, and mixed metals lately. Anyone else?